According to Allied’s Research Analyst, Mr. Thomas Chasapis, “at the beginning of September, a mere breath before the start of the final quarter of 2018, the exuberance was become apparent in the paper market, given that contracts reached levels of even above US$ 26,000/day for the average of the BCI-5TC for 4th quarter period. At that time, and given that the previous year, for the same time frame, the actual market managed an average figure in the region of US$ 22,700/day and the market was already on an upward path throughout 2018, the level being dis-cussed seemed rather fair to most”. Chasapis noted that “things were already turning sour however in October, with earnings averaging out at US$ 18,600/day and it quickly becoming obvious that the Capesize segment wasn’t going to carry out its promise as originally thought. 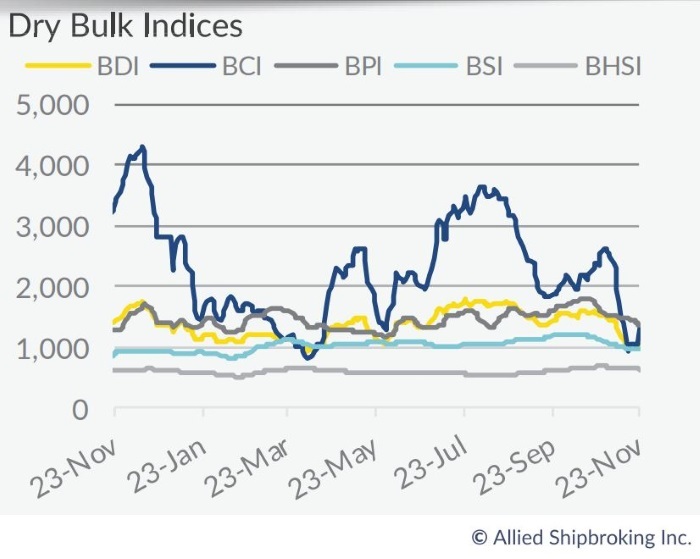 But things didn’t stop there, and from the start of this month the overall segment was on a sharp downward spiral, reaching even at levels that brought back memories of the collapse in the dry bulk sector of 2016. So, to the very least we can say that the market is in a “weird” state. The FFA market is now in a state of turmoil, showing steep corrections in respect to forward returns, even for very forward contracts. On a month-on-month basis, volatility for Capes has skyrocketed by almost 184% (using the BCI benchmark index), breaking a long period of convergence towards a more stable state”. “Yet what must be stated is that it would be prudent not to rush back into an overly bearish tone, on the back of just recent trends in the dry bulk freight market. It is important to mention that other segments haven’t shows this kind of softening in their average figures. 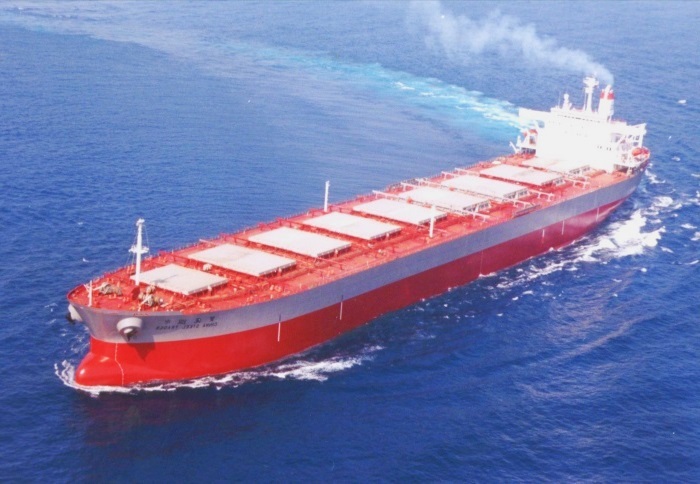 Both the Panamax and Supramax indices witnessed a decline of just below 14% in their mean on a month-on-month comparison. So, given the influential attribute of the Capesize to the overall sector, the impressive resistance seen in the smaller subsegments can be translated in two different ways, either that there are strong fundamentals able to bear periodical negative shifts (i.e. minor bulk commodi-ties are holding better), or we are speaking of an isolated and overexaggerated incident and the market will recover back to normality fairly quickly. For the time being the market is once again covered in shrouds of uncertainty, with most interested parties having already altered towards a more conservative attitude. All-in-all, given that we are in a strong seasonal point in the year, we would expect that a swift recovery could take place, with the overall market, although, most probably finishing the year at mediocre levels given the extent of the downturn noticed these past weeks”, Chasapis concluded.